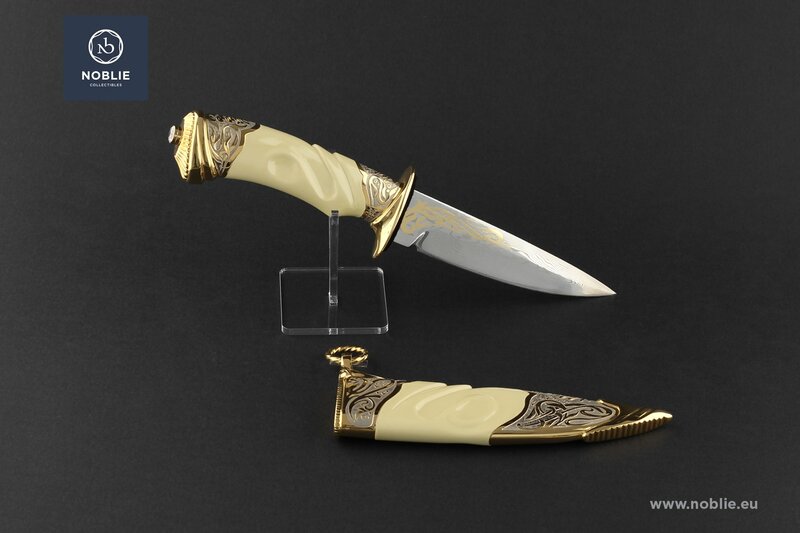 Etching, polishing, engraving, nickel plating, gold plating, bone carving. 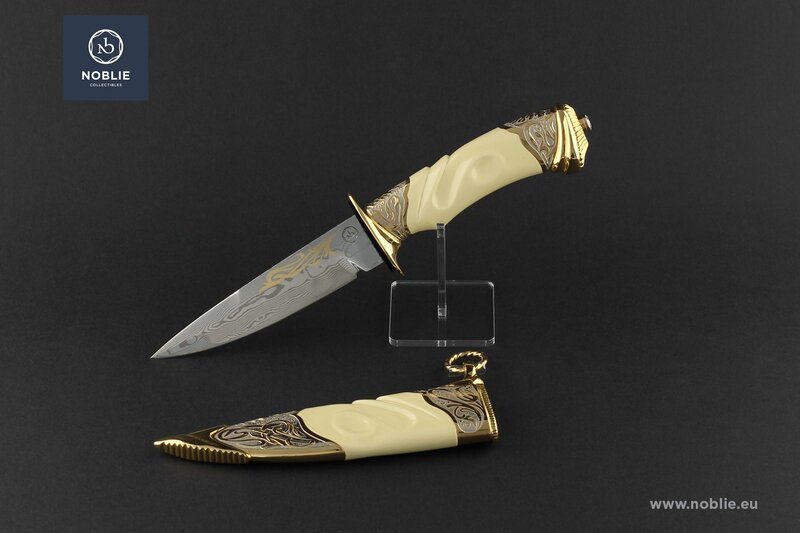 Blade of stainless steel 440C with gilded ornamental engraving on both sides. 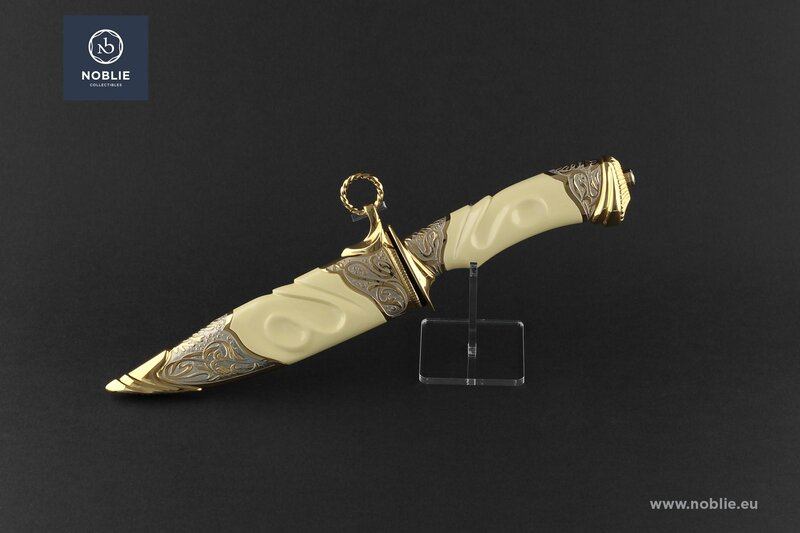 The Handle is made of metal and bone parts. Gilded and decorated brass guard and pommel. Leaf ornamental engravings. A grip of carved bone. 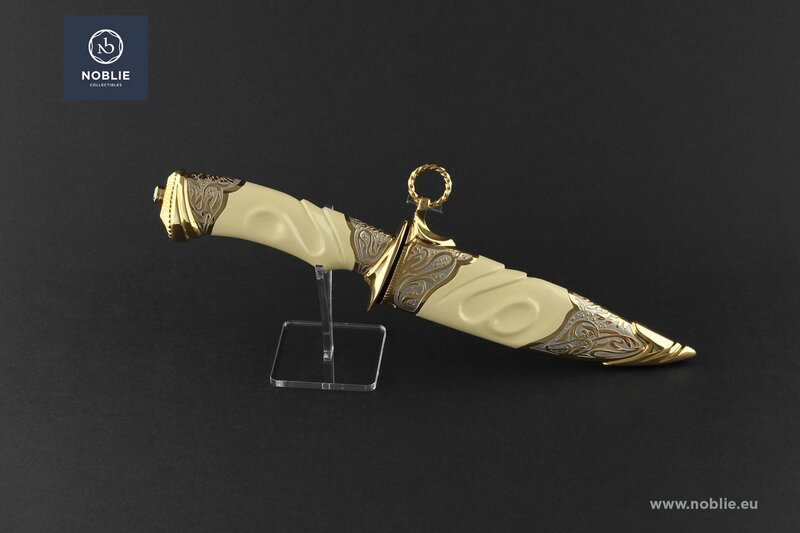 The scabbard is made of metal and bone parts. Brass made and gilded decorative locket and suspension ring and chape. 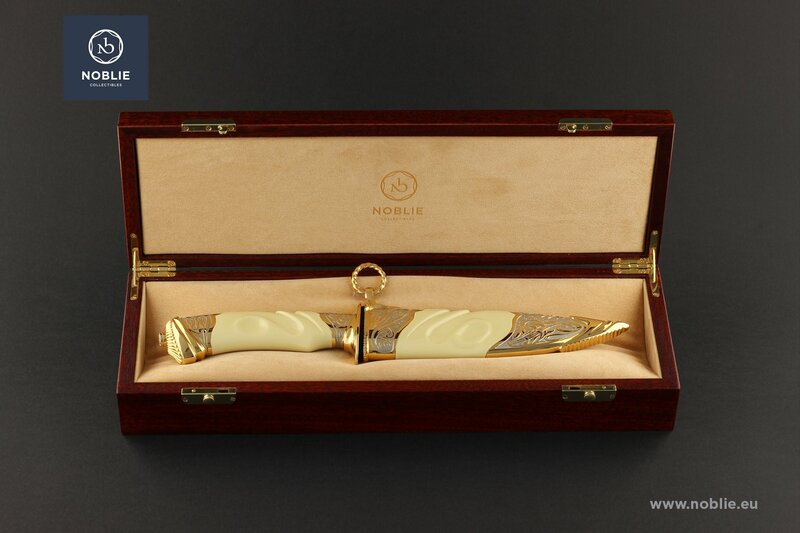 Decorative carved bone middle part.